A new Syngenta iOSR Focus Site will provide growers and agronomists with a unique insight into innovative integrated crop management ideas and techniques – demonstrated in a real field situation that can be readily applied on farms. The iOSR Focus Site, based at the Rougham Syngenta Innovation Centre in Suffolk, will assess new options at all stages of crop growth, from establishment techniques to seed rates; varieties; canopy management; nutrition and pest and disease control right through the season. Many of the ideas being trialled have been in direct response to concerns and challenges raised by the Syngenta iOSR grower group, as well as building on some of their pioneering experiences and reported successes. Syngenta Field Technical Manager, James Southgate, believes the site will offer important practical ideas that growers will get value from seeing during the season, and with the harvest results. “The challenges of growing OSR, and agronomy techniques, have changed significantly over the past five years. The iOSR Focus Site will specifically seek to provide solutions for growers and agronomists to consider throughout the crops’ management," advised James. “We are now into the second year on a similar Black-grass Focus Site initiative,” he added. “It is already providing extremely valuable insights into a whole range of options for more effective long-term grass weed control – as well as throwing up yet more questions and ideas for ongoing investigation. 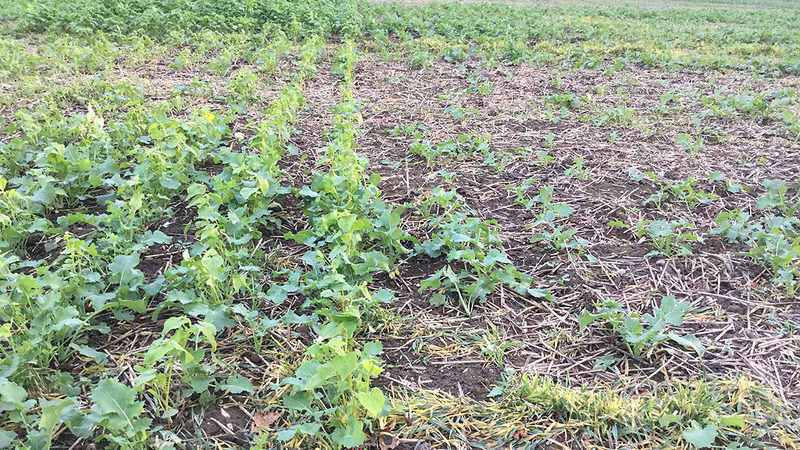 James reported the novel establishment options being trialled at the iOSR Focus Site have already produced large differences in the plots. He also highlighted the varieties on the site are now showing their susceptibility to Phoma, with thresholds for spraying reached in some varieties by mid-October but not others. James added that the site will also take full advantage of precision agriculture and new farming technology techniques to monitor crops and assess performance through the year, which could also provide valuable in-season updates and agronomy tips.